ROCKFORD, Ill. – Rekindled by the spirit of 10-10-15 and the subsequent Justice or Else Movement, the phrase “Do For Self,” coined by the Teachings of the Honorable Elijah Muhammad through his Economic Program, has motivated a husband and wife team, from the local Study Group, to identify a market demand, manufacture a superior product, and work together to create jobs while bringing a vision of international trade and commerce to fruition. Making, selling and distributing a wide variety of hair and skin care products, derived from the natural oils of organically grown plants in West Africa, Bro. Henry 3X, his wife, Sis. 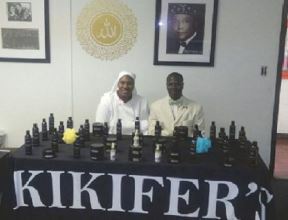 Keishonda X, and their Senegalese business partner, Macodou Sall, who imports the necessary raw materials directly from Africa, all work together to produce the Kikifer’s brand of unique high quality liquid black soap, hair sprays, shampoos, pomades, body sprays and lotions for both men and women. “The products themselves stand out from any other product because it’s all natural and everything we do is all natural and we don’t use any chemicals in anything that we do,” said Bro Henry, C.E.O. of Saviour Self, LLC, the owner of the Kikifer’s brand. “There are a lot of claims, nowadays, to make products all natural so part of what we do is expose and educate our people to the reality of what they are putting on their bodies. The average American puts over 294 unknown chemicals on their body every day, so we at Kikifer’s use 100 percent all natural, all organic products,” Bro. Henry said. Agreeing that having a personal care line that is Black-owned, from the planting and harvesting of the raw materials and ingredients on the African continent, to the manufacturing and distribution of the final product out of Rockford, Illinois, is not only a great example of what can and must be done to elevate Black communities both at home and abroad, but also to inspire further Black entrepreneurship and business development as a solution to some of the problems facing underserved neighborhoods in Rockford, local activists support the idea. Henry 3X and his wife Keishonda X are entrepreneurs who recently launched a brand of organic body and hair products. Calvin Rhodes, owner of R&R Rhodes Enterprises and board member of 100 Strong, an organization of Black men formed in February 2016 to counter youth violence in the City of Rockford, said he supports the Kikifer’s line of products and encourages others to do likewise. “I am a proponent of Black-owned businesses. I have a lawn care service and a cleaning service, and I think it is imperative that we show our younger children that you don’t have to go work for anybody else if you have the mindset to work for yourself, to be a business owner, (and) to provide jobs for other individuals,” Mr. Rhodes said. “I have been using Kikifer’s products for at least six months now. 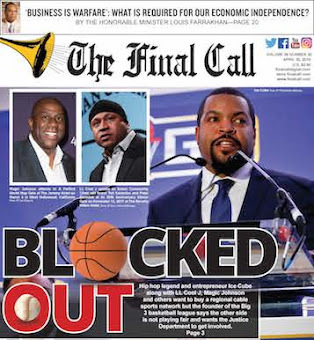 I was one that suffered from a skin condition, where my skin would become too dry and itchy; ever since I started using the Kikfer’s Black Soap, I have not had one problem,” he said. Co-owner and C.F.O. of the Kikifer’s product line, Sis. Keishonda, said both she and her husband, working together as a team, is not only a good example for the greater community, but also a positive example to their young daughter. “We have the opportunity as husband and wife to work together, so it allows me the opportunity as Bro. Henry’s wife to be a helpmeet, not only in the home, but at his job so our daughter is able to see us get up and go to work together (and) she’s able to not only see us consume products, but to produce them,” she said. Regarding the increasing demand for chemical free products, and society’s desire to reduce or avoid toxins and other man-made compounds in food, cosmetics and in the environment, Sis. Keishonda said Kikifer’s answers that call. Local business partner of the husband and wife team and chemist, Macodou Sall, said the raw materials and ingredients he imports from Africa are organic in the strictest sense, and come from rainforest areas untouched by man-made or other environmental toxins. Stating that products such as Black Soap, a Kikifer’s best seller, has been made in Africa for centuries and reintroducing it as a liquid soap in the United States has been a popular innovation. “All the ingredients are outsourced from Africa and came from an area that is wild, and no chemicals or fertilizers were used to produce or grow any of those plants,” Mr. Sall said. In addition to helping Bro. Henry and Sis. 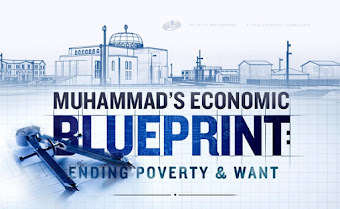 Keishonda identify a niche market for their products, Mr. Sall said that as an African Muslim, he enjoys working with the Rockford Believers and finds the ethics and morals taught by the Honorable Minister Louis Farrakhan to be quite similar to those found in his home country. 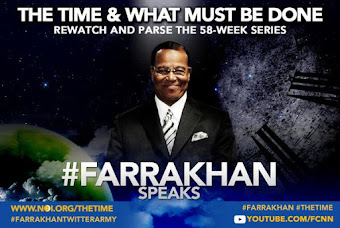 “I compare (Farrakhan) sometimes to Sheik Amodou Bamba (1853-1927) in Senegal, he is for the same community, in the same way, using pretty much the same guidance and the same principles,” Mr. Sall said. “Love yourself, respect your brothers and your sisters, protect your community and your woman, and believe in Allah strongly and let nothing divert you from that. 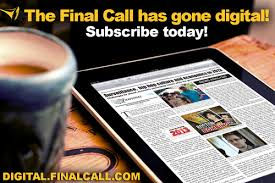 Sheik Amadou Bamba said to ‘Work like you’re never going to die, and worship like you’re going to die tomorrow,’” Mr. Sall said. 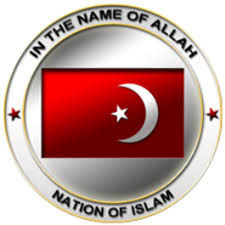 Regarding the time and what must be done, and the idea of doing for self, Nation of Islam Student Assistant Supreme Captain Anthony Muhammad said he is dedicated to inspiring the F.O.I. to own businesses and fully supports the Kikifer’s line of products. Agreeing that ownership of an industry is vital toward transforming depressed neighborhoods into zones of prosperity, Student Captain Anthony said he believed that Black people must own land, own the means of production, have access to capital and control product distribution. 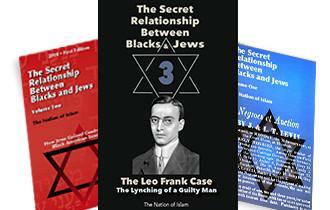 “It made me extremely happy to know that others are actually doing what the Most Honorable Elijah Muhammad had told us about,” he stated. “I immediately said that I would do anything that’s necessary to help them in their business venture.” When asked to comment on the concept of a national business network, and the vision of Believers entering into international trade and commerce, the Assistant Captain Anthony added that Black people all over the world are eager to do business with Black Americans who want to do for self. “We already have a network. All we have to do is act on the network we naturally have and then open it up to an entire world. 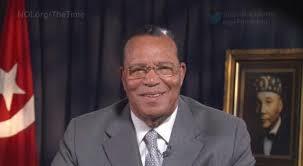 The Honorable Minister Louis Farrakhan has made friends for us all around the world. He has traveled the world over and over and everywhere he has gone, he has produced a friend and a family member for us. It’s open because the Minister has made friends for us,” he said.